This Flamingos and Palm Trees king size duvet cover set will bring a fun tropical feel to any bedroom. 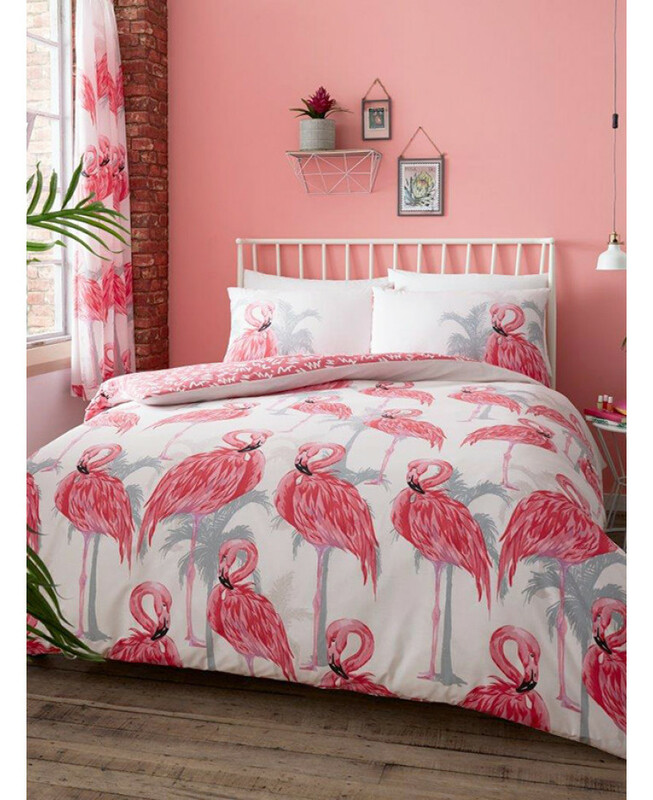 The design features a collection of vibrant pink flamingos and soft grey palm tree silhouettes on a white background, with a coordinating abstract graphic print in white on a bright pink background on the reverse. This bedding set is made from a polycotton blend and can be machine washed and tumble dried on a cool setting.